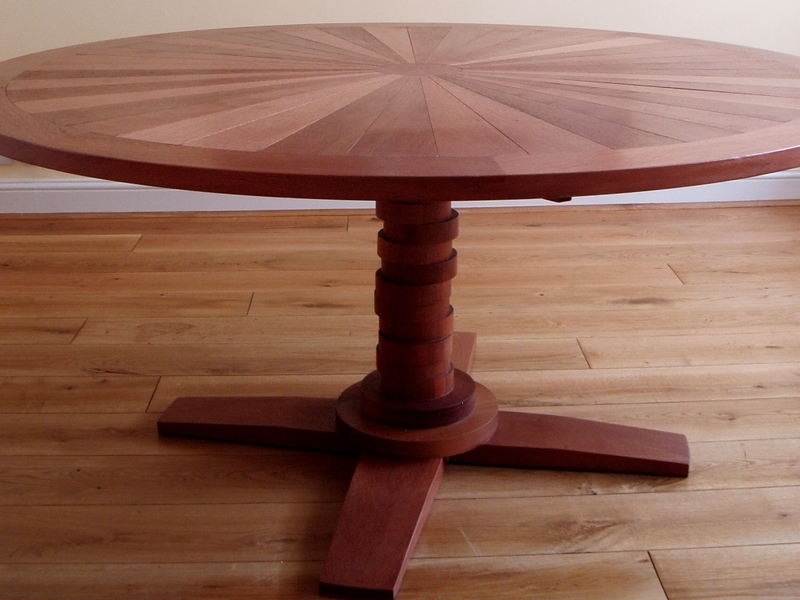 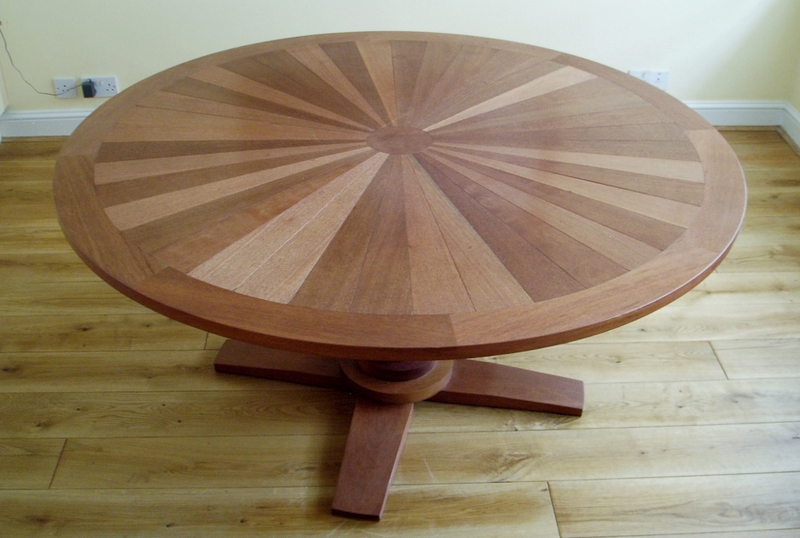 The segments of this table top are all made from the same jarrah wood. These change colour depending on your viewpoint and give a sense of movement as you walk around the table. This theme is carried through the offset stacked discs of the column.